Six little booz hoo love their dooz! Happy go lucky, plucky Pixie, superstar Sparkle, nature child Lilly, ooh so chic Crystal, magical moonchild Skye and fab foodie Candy! 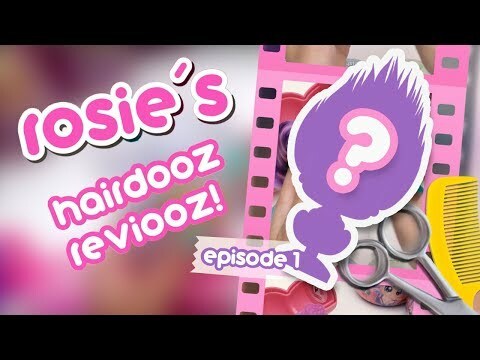 24 Hairdooz to collect, including rare color change hair! The sweet girl next door, happy go lucky Pixie adores pink, glitter and yoo! Lights! Camera! Action! Superstar Sparkle loves shines when she is centre of attention! Glamourpuss with a passion for fashion, ooh so chic Crystal does everything with style. Pretty as a flower, nature child Lilly loves the natural world around her. The stars and the moon are spellbinding to magical, mystical Skye. Fab foodie Candy’s loves the challenge of food themed dooz! Yum!